We are passionate about delivering high quality courses, and as a result we can now announce this cadaveric MSK ultrasound guided injection course at The Human Anatomy Lab, Imperial College London, Charing Cross Hospital. This unique comprehensive, two day, cadaveric musculoskeletal ultrasound guided injection course in London, offers you the next best training tool to performing injections on patients. It provides a unique opportunity to learn and develop your injection skills directly on the anatomy you will encounter in your clinic! With a blend of short lectures and dynamic, hands-on practicals with soft preserved cadavers you will have plenty of opportunity to fine tune your skills. With a maximum of 3 delegates per ultrasound machine, and a high tutor:delegate ratio, you will have regular feedback and practical time. There will be a strong clinical focus throughout the course and the majority of peripheral joint injections will be covered. Who is the cadaveric MSK ultrasound guided injection course suitable for? Significant experiences of assessing and treating patients with MSK disorders. Have some prior experience of MSK ultrasonography – for example an introductory musculoskeletal ultrasound course. For more information on why we feel its important to have experience of diagnostic skills prior to considering performing ultrasound guided injections, see our recent blog post here. Have prior experience of soft tissue and joint injection therapy – if working as an allied health professional in the UK we advise you to have completed a blind injection therapy course first. You can find a list of those here. Have a recognised professional medical qualification and current registration with a relevant UK professional body eg HCPC or GMC, or foreign equivalent if travelling from abroad. This is the proposed course outline over the two days. 9.30am -9.45am Aseptic techniques: US guided interventional procedures. 9.45am - 10am An overview of the evidence behind lower limb steroid injections, high volume tendon injections, prolotherapy and PRP. 10.15am - 10.45am Visualising the needle: Using probe skills to optimise visualisation of the needle. 11.15am -1pm The Knee - Ultrasound guided interventions for knee pain : Dissection room practice of US guided procedures on soft cadavers: Intra-articular knee, Baker’s cyst, aspiration, Pes anserinus injection. Bursal injections around the knee. High volume injections for patellar tendinopathy. Dissection room practice of US guided procedures on soft embalmed cadavers: Intrarticular techniques of the anlkle and 1st MTPJ, Plantar fascia, Peroneal sheaths, Tib post sheath, Mortons Neuroma. 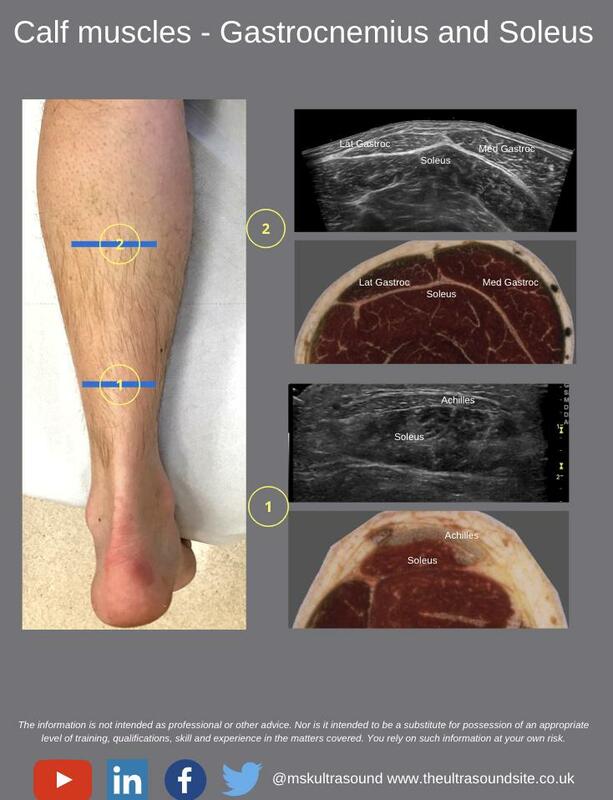 High volume injections for achilles tendinopathy. 9am -9.15am Review of the weekend so far...! 9.15am -9.30am Appraisal of the evidence..are US guided injections more accurate? Do they reduce side effects? Do they improve patient outcome? 9.30am - 9.45am Injectable substances..what can be used? and what is the evidence behind their useage? 10am Revision of common lower limb techniques, optimise needle visualisation further. Presentation followed by hands on practice of US guided procedures on soft cadavers- Radio-carpal joint, DeQuervains tenosynovitis, carpal tunnel syndrome. 3pm - 4.30pm Ultrasound guided interventions for elbow pain: Presentation followed by hands on practice of US guided procedures on soft cadavers. Covering: Common extensor, common flexor, radiohumeral joint, distal biceps. Prolotherapy for tennis elbow. Stuart is an Extended Scope Physiotherapist and MSK Sonographer working in the NHS in London. He has an interesting working week, dividing his time between Radiology and Physiotherapy, here he performs both diagnostic and guided interventions in both. He qualified from the University of Southampton in 2003 with a BSc Physiotherapy, and went on to gain an MSc in Advanced Neuromusculoskeletal Physiotherapy at The University of Hertfordshire and a PG Cert in MSK Sonography at Canterbury and Christ Church University. He trained at the Royal National Orthopaedic Hospital in Stanmore, Defence Medical Rehabilitation Centre – Headley Court, the Institute of Sport Exercise & Health (ISEH) and Barts Health. Graduated in 2012 with a BSc in Physiotherapy from the University of East London. During his training he developed a special interest in anatomy and physiology and started teaching anatomy while being a student. Currently working as a physiotherapist across the bariatric and consultant outpatient teams at The Homerton Hospital NHS Trust. Dr Qasim is a Consultant Rheumatologist and General (Internal Medicine) Physician based in Manchester, UK. He is an expert in the use of musculoskeletal ultrasound in the diagnosis and treatment of various rheumatological diseases. He completed a highly-specialised fellowship (Aug 2016) under the guidance of both a pioneer and international expert of musculoskeletal ultrasound, Dr Esperanza Naredo, in Madrid, Spain. 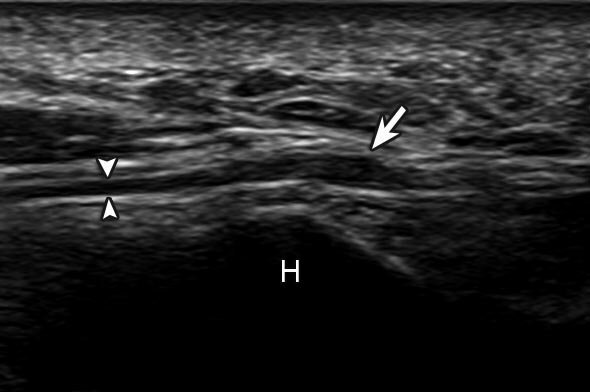 He holds European Federation of Societies for Ultrasound in Medicine and Biology (EFSUMB) and European League Against Rheumatism (EULAR) MSUS accreditation, and is an independent ultrasound practitioner within a select group of rheumatologists, in the UK, to carry out an international fellowship in this field. When you come to the cadaveric MSK ultrasound guided injection course we ask for your feedback. We read this, discuss this and make changes following this. Here is a summary of data received since October 2018, and we will update this after every course to make sure it gives an accurate and honest reflection. Overall, how would you rate the cadaveric MSK ultrasound guided injection course? ”I recently attended the cadaveric musculoskeletal ultrasound guided injection course run by The Ultrasound Site and was highly impressed. The course is run by a variety of friendly and approachable health care professionals. Ranging from an musculoskeletal radiology consultant to extended scope physiotherapists who regularly scan and inject patients. This variety allows you to see the different types of approach/styles people use when injecting and gives you a chance to practice those different styles and see which one suits you best. The course is very well organised and with a limited number of participants it means you can practice as much as you want and have the tutors on hand to guide you if you are having difficulties. As well as a lot of hands on practice, there are a few tutorials to take you through the basics of ultrasound guided injections and also different treatments available when it comes to musculoskeletal injections and some of the evidence behind these treatments. There was also an excellent anatomy demonstrator, Freddy, who is on hand to tell you anything you want to know and see regarding musculoskeletal anatomy. For real life practice it is of vital importance to know the proper anatomy of what you are injecting- it also makes it much easier to understand the pathology that can occur in each place and why. The people who teach this course are clearly passionate and dedicated about their musculoskeletal work as can be seen by the amount of cases and discussions which occur on their website and social media. It makes a big difference when being taught by someone who enjoys what they do!